Modern technology helps scam callers masquerade as reputable businesses as they try to shake you down. 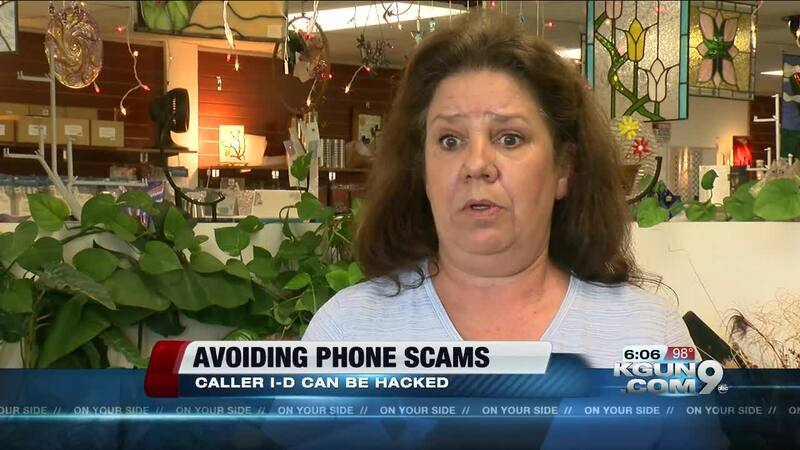 Here’s the story of one Tucsonan saw through the scam -- and how you can protect yourself too. Estelle Flores was working at her shop, Tucson Stained Glass , when the call came in. The Caller ID said it was Tucson Electric and the number did match TEP. She says, “And the gentlemen on the phone proceeds to tell me that I am delinquent and I need to make a payment today or my electric is being been cut off within the next 35 to 45 minutes." She knew her bill was all paid up and said so. "And I did question him I said I think this is a bogus phone call and he says well if you think that then you'll find out soon enough." She was still worried so she called a different number the man provided. "And I was on hold for a little while and fine gentleman picks up and it says that the account is in arrears and he got kind of pushy and said you know this has been going on for three months you've had more than two notices Today's the final day you have to make a payment and person and like okay payment a person it has to be cash there's another flag." Estelle had seen the classic red flags of a modern high pressure scam. The Better Business Bureau of Southern Arizona warns, scam artists have software that makes their call look like it's coming from a legitimate business. They use high pressure and demand action right now. They often want payment in cash, pre-paid credit cards or even gift cards. In Estelle's case they gave her a half hour to drive the cash more than halfway to Phoenix to an address in the town of Eloy. The BBB says if you suspect a scam just hang up. If you want to confirm you did the right thing get the number off the real company's bill and call customer service. Estelle Flores did the right thing. She kept all her money and the power's still on.